Homeschooling is an economic challenge for many families, including mine. Sometimes it takes extra creativity to make it work. I’ve had to adjust my habits and expectations along the way. The two most important things for me have been crafting a realistic budget and being clear about our family’s priorities. 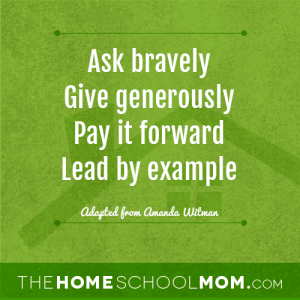 Making homeschooling work is non-negotiable in our family, so we make adjustments in other areas. I’ve learned that courage and creativity can enable a sense of richness and abundance while keeping things economically balanced. Here are some of the things that I’ve learned. Both our homeschooling group and our wider community are great resources for used items. I’ve been able to develop “hand-me-down” relationships with families who have children a size or two larger than mine, and I reciprocate by handing down clothing to a few families who have younger children. In this way, we rarely need to buy new clothes, and that saves a lot of money. I keep a running list of what my family needs, and I periodically put the word out to my network of family and friends. When my circle of family and friends doesn’t yield a solution, I look locally at thrift stores, yard sales, secondhand shops, and the swap shop at the local transfer station. I also use online resources such as Freecycle and Craigslist, which has a “free” section. At least once a year, our homeschooling group plans a Swap Day where we all bring clothing, household goods, books, and curriculum to swap at our usual meeting time and place. In past years, we’ve opened our car trunks and had a little “free shop” right in the parking lot! Recently, a woman in our town threw a swap party in her yard and invited her friends to spread the word; she built a network of new sharing relationships in one afternoon. I find that by asking bravely, giving generously, paying it forward, and leading by example, I’ve helped to grow a network of friends who do the same. Another choice I made was to limit my children’s exposure to mainstream marketing, beginning when they were very young. 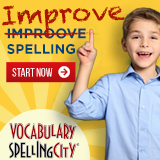 One of the helpful results of that choice has been that my children are not clamoring (as much) for the latest gadgets and name-brand clothing, simply because that kind of marketing hasn’t had the opportunity to create a need in their thinking. In considering ways to cut expenses and in thinking about limiting commercial influences in our life, we decided early on to stop paying for television service. We kept our Internet and telephone service. For a while, we had a (disconnected) television set with a VCR, but eventually we found we didn’t use it enough to justify keeping it. Ten years later, I have no regrets about that decision. Amanda Witman is a homeschooling mother of four, musician, urban homesteader, enthusiastic lifelong learner, and Oak Meadow’s Social Media Coordinator. 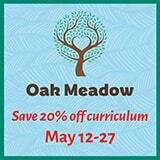 Visit Oak Meadow on Facebook, Pinterest, Twitter, and their blog, In the Meadow. 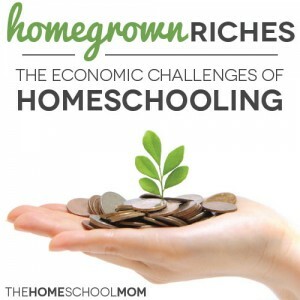 Budget Homeschooling is a topic no one really talks about. Though, it is a very important topic in itself and needs to be properly addressed. Am glad you did.